with the Celts are Celtic spirals. Prominently displayed on ancient artifacts dating long before the written word in Ireland, Celtic spirals are second only to knotwork designs as the symbols most associated with Celtic art. Like so many other symbols associated with ancient Ireland, whatever meaning spirals had for the Druids remains an elusive mystery to us. There simply is no definitive source to tell us what they mean. Archaeologists and cultural anthropologists have been able to determine the symbolism behind ancient symbols of so many other cultures, thanks to the written records they have found alongside the artifacts. They have been able to form educated theories about what certain symbols in ancient Egypt meant, for example, thanks to their ability to decode the hieroglyphics found in places like the Pyramids of Giza. But no such writings are found with Celtic artifacts. Why? Perhaps the answer lies in the fact that in Druid faith, it was forbidden to put sacred material in writing. There is little doubt that the spirals found in the Stone-Age relics of Ireland and other Celtic lands were put there because they represented things or ideas that were sacred to the people that put them there. But here in the Modern Age we, who are embedded in Western civilization, which has been founded upon the religions and philosophies that originated in the Middle East and Greco-Roman lands, find it hard to understand how any culture would not preserve their sacred principles in writing. After all, we have the Gospels, the Talmud, and the Koran. We have the writings of Plato and Socrates and Aristotle. So many ask, "How sophisticated could a civilization be if they don't write down what's important to them?" The answer lies in the fundamental differences between principles shared by Greco-Roman and Middle Eastern cultures and the mindset of Pagan philosophies. Judeo-Christian traditions place great importance upon scripture and other philosophical writings. But writing down sacred material was forbidden in many ancient Pagan religions, including Druidism. The spiritual beliefs and mythologies in Celtic culture were passed down one generation at a time, through ritual, storytelling, music, and dance...but never by the written word. The Druids believed it was too sacred for that. Because ancient Celts kept no written records to tell us what their Celtic spirals meant, we instead have only what has been passed down in the oral tradition, from generation to generation. So it's hard to know the difference between facts and myths. The true meaning of Celtic spirals is primarily speculation. Perhaps the true meaning of Celtic spirals lies in their simplicity and beauty. Most scholars believe they are universal symbols of the spiritual balance between inner and outer consciousness, the sun, and the Cosmos. "From magnetic fields to vast galaxies swirling in space, spirals can be seen in every aspect in nature. We see them in the physical forces which shape the Earth - the tides of the ocean, the winds in the atmosphere - and within life itself. Plants and the horns and shells of animals grow in spiral formations and some animals, especially aquatic species, possess a twisting locomotion. The spiral phenomenon within natural forms can be explained through mathematics - the pattern is a result of complex sequences, equations and algorithms which nature utilizes in her designs of the Universe. But mathematics alone can't justify the lure of the spiral to the human mind." Some Celtic art scholars believe the direction of the spiral may be significant. Some say clockwise spirals are associated with the sun and harmony with the Earth, while counter-clockwise spirals are associated with manipulation of nature in the form of Pagan spells. Celtic spirals are the symbols most often seen in ancient burial mounds and sacred places. Many believe spirals have mystical powers to prevent evil from entering into the sacred tomb of one who has passed into the Otherworld. Some people even today, claim that if a person were left alone in a cave with spirals decorating the walls, he would experience altered consciousness, and possibly even experience hallucinations and seizures. According to Kate Johnson at Arizona State University, an archaeologist conducted computer analysis in 1991 on the structure of some Celtic spirals found in ancient rock carvings. 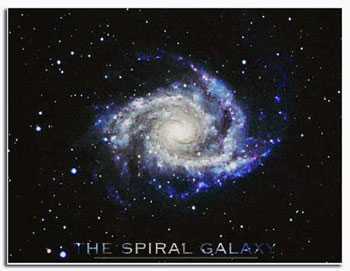 He compared these spiral patterns with astronomical events that had occurred over the course of the last millennium. His findings were astounding. According to his research, the Celtic spirals were accurate representations of visible planetary configurations and the brightest fixed stars during total eclipses ages ago. Others think the Celtic spiral symbolizes the seasons of life and the cycles of time. The patterns of life are like the spiral, starting at the center and moving ever outward. Our lives wind back around our center, yet never return to exactly the same place. It can represent serenity, with fluid, gentle lines; or it can represent chaos and madness with dizzying, confusing linear patterns. The triskele, otherwise known as the triskelion, is a three-pronged spiral, and is often used as a basis for more complex spirals. Some suggest ancient Celtic triskeles represented the Triple Goddess of the three ages of womanhood. It later came to represent the Holy Trinity in Christianity - God the Father, Son and Holy Spirit. Whatever its meaning, it is interesting that the motif is based around the number 3 - regarded as a highly sacred number in many ancient cultures. The tri-spiral, otherwise known as the "Spiral of Life", is found on many ancient Irish stone carvings - the most famous of which is Newgrange, found in County Meath, Ireland, which dates back to 2500 BC. Most scholars believe the spiral of life represents the cycle of life, death, and rebirth. Others say this deeply mystical symbol represents the male, female, and child on the path of life. Another interpretation is that it also represents the Triple Goddess. My personal favorite is the belief that the triple spiral of life represents the Eternal Truth, that the meaning of life is to find harmony between the three dimensions of our existence. "...if we are to find oneness we will only find it in the three experiences of being. Connection with earth, with self and with the divine. They knew that one could not fine oneness in self but only in the three." The many different interpretations of Celtic spirals need not be confusing. Actually they are all somewhat similar, relating somehow to the natural balance of the Cosmos and the spiritual nature of all living things. Still, for those who seek a definitive meaning to the many different Celtic spiral designs, the mystery of Celtic spirals, like the mysteries of the universe they represent, will never be solved by mere mortals! Aidan Meehan provides practical instruction, historical insight, and generous illustrations for all the aspiring Celtic artists out there. He thoroughly covers the various stages of the Celtic spiral design. Another reason this book is special is that he gives attention to the triskele design, which is so often left out of Celtic art books. Several of Meehan's books about Celtic Designs grace my cluttered bookshelf, but this is the one for a study of Celtic Spirals. Few Celtic art scholars give these Celtic symbols much attention. Actually the online store for Joseph Keane, an artist who designs Celtic jewelry and gifts, but he has an interesting section on his site about Celtic symbolism. Fascinating investigation of the astronomical symbolism of the Stone Age carvings, including those of Martin Brennan and N.L. Thomas. You will find charts of the various megalithic symbols and their astronomical interpretations. Internationally-renowned Celtic artist Cari Buziak offers truly outstanding work, including over 850 FREE clip art designs and cross stitch patterns. Her designs are much richer than most found on the web. Aon-Celtic.com is also a great Celtic art resource both for learning about the history and evolution of the Celtic art. An extensive collection of Celtic web graphics, clipart and desktop art. I especially love her stained glass and 3-D effects. Bradley W. Schenck's Celtic Clip Art and House Ravenscroft Scriptorium are both excellent sources of free Celtic clip art as well.